Description: Serial #6598. 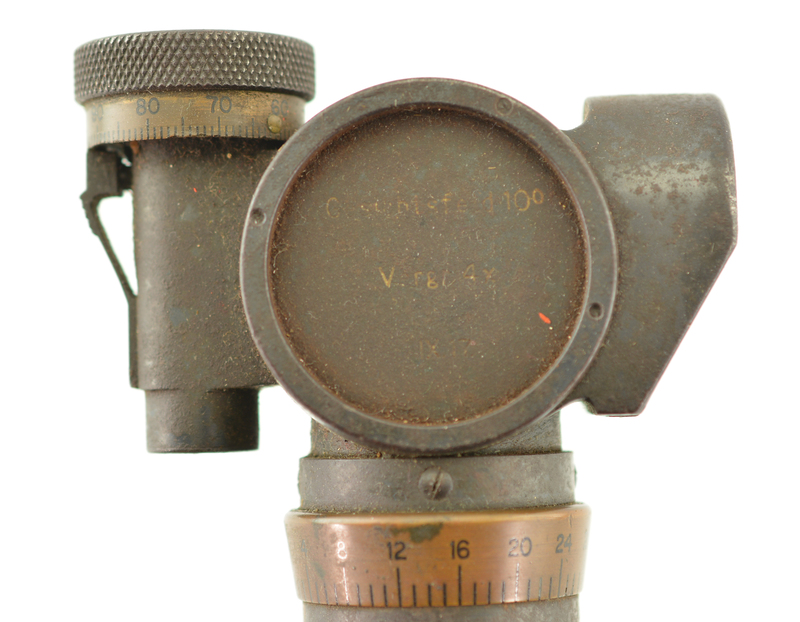 This is a 9 3/4” high periscope sight with a 10 degree field-of-view, converging lines reticle and slightly cloudy, but still serviceable optics. 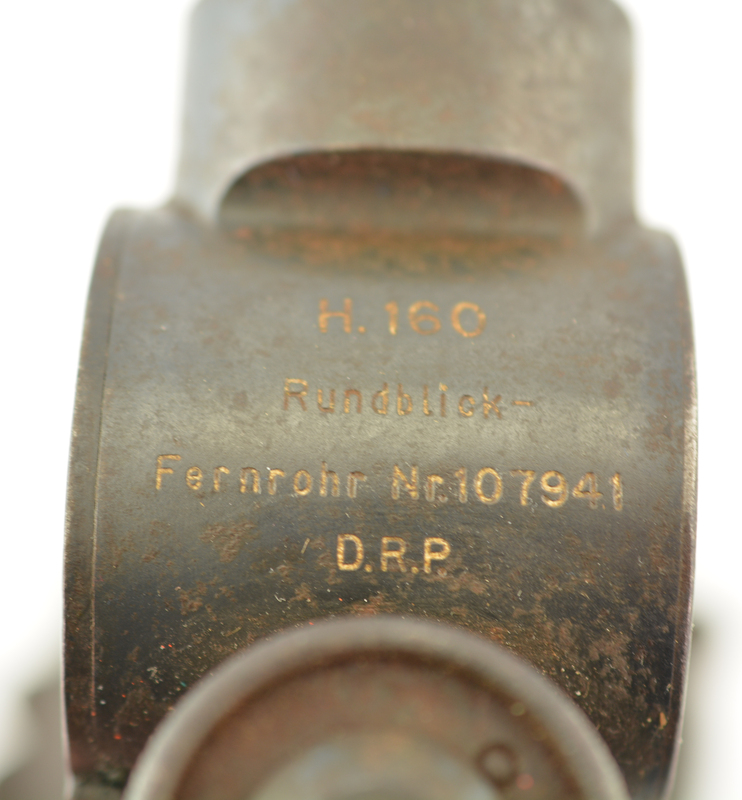 The exterior has about 10-15% of the original dull blue finish with the balance freckled to plum-brown, and is date stamped “IX 17” (September, 1917) on the side of the objective housing. 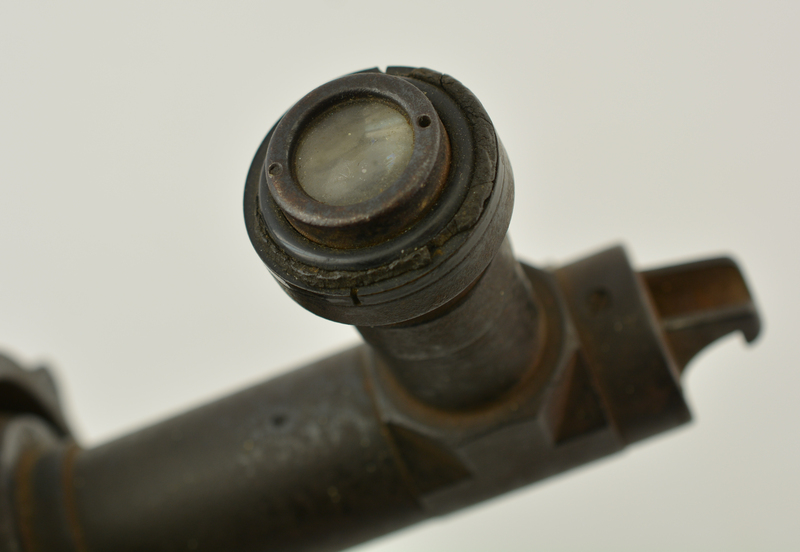 These sights were used on the German 7.7cm FK field gun during WW1. 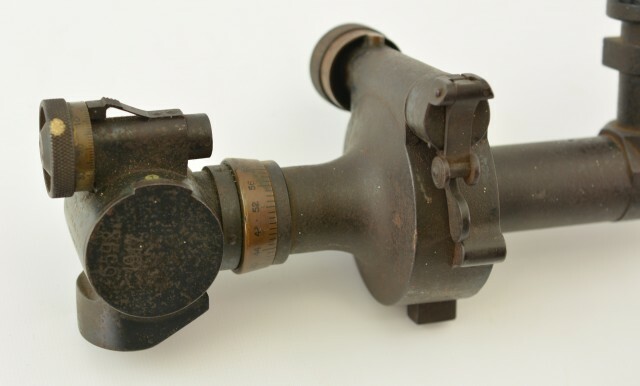 This example is in good-very good condition and would make a nice accent piece for a collection of WW1 German gear and equipment.